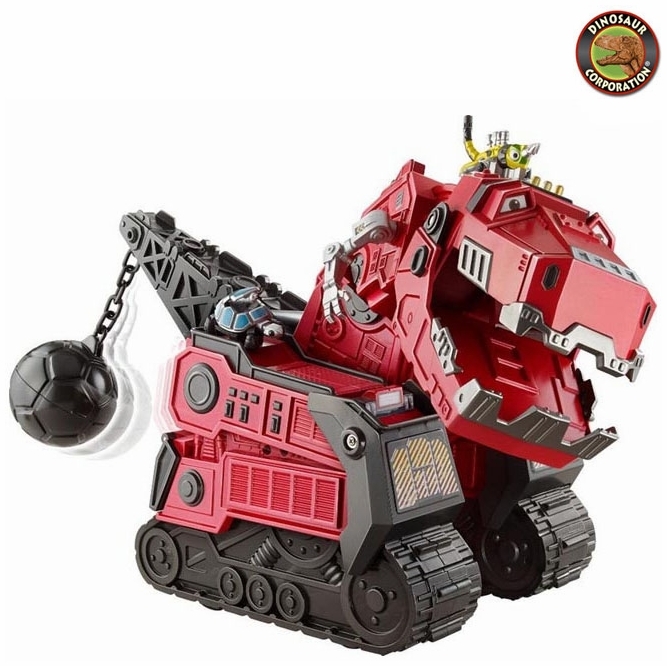 Have a roaring good time with Mega Chompin' Ty Rux from Dinotrux! This half-dinosaur, half-construction vehicle really comes to life with kid-activated lights and sounds! Ty Rux encourages interactive play through his many exciting features: a chomping mouth, swinging wrecking ball tail and large rolling tires. He even has a special place to play with Reptools and comes with the Revvit reptool (others sold separately). Ty Rux's colossal size and unique abilities will inspire kids to act out their favorite construction missions and prehistoric adventures. Includes one Ty Rux vehicle and one Revvit Reptool.